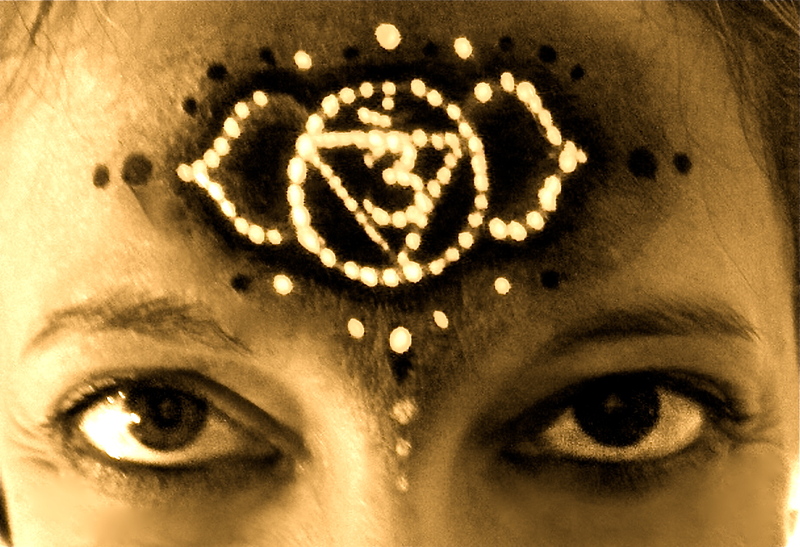 Did you know how powerful your third eye chakra is? Did you know visualization is key to help you materialize your dreams? This is the main formula when it comes to visualizing the world around us and making it a better place. As you probably know, when it comes to directing our energy to make something happen by visualizing it, the Eye Chakra is responsible for energizing the idea. Let’s analyze the formula presented above. We all know that intentions are only thoughts if we don’t do anything to materialize them. Whether good or bad, without actions our visualizations are nothing but plain ideas. Now, the second part of the formula. Our actions are what matters the most — both physically and mentally. Similarly to the way we get up in the morning to continue some work from the previous day, we focus on bringing an intention to a realization, by practicing daily visualization. Having this in mind, there is one vital thing to understand when it comes to visualization. We leverage visualization as a mental function and expect it to materialize our goals. However, a creation does not happen if we don’t take certain actions or, in other words, if we don’t work to make it happen. When your intentions are perfectly aligned with the universe, your whole being is under the impression that the things you are visualizing are already materialized, hence the universe will conspire to make them happen. In other words, if your goals/ dreams/ whishes are clear and you strongly believe them to be real, the universe/ source will find a way to manifest them for you. This is practically the root value of visualization. And, believe it or not, it is an extremely powerful technique, one that will help you succeed in many areas of your life. But, if you don’t apply the Intention + Action = Creation formula correctly, your dreams will not be manifested. “Ok, so what if I don’t visualize things and just let them happen as they should?”, you may ask yourself. The truth is, visualization has many benefits to offer. It is a technique that sends good vibrations to your brain and makes accomplishment and happiness possible. It is also a technique that activates your sub consciousness and inner strength. But, most of all, visualization empowers your real self, which grows stronger in order to cultivate a deep connection within you, and help you achieve your goals. You have to understand that the universe has nothing against your desire to accomplish your dreams, but, as with everything else, you have to invest energy in order to have results. In other words, you have to work for the things that you want. There are three crucial steps one has to devote to in order to collide the visualization with realization, and make their goals a reality. Step 1 – First and foremost, you should visualize your goals as they are already achieved. Sitting in a quiet place and closing your eyes, and just imagining the path to success are the backbone to the entire technique. This technique is also known as ‘mindscreening’ the future and connecting with it by really experiencing the emotions you would feel if your goals were achieved. Because in your mind, you have already achieved your goals. Step 2 – The next phase is falling in love with the deepest desires and goals, so they can grow in your heart. This is important in order to understand that the things you want to achieve are really meant for you. Step 3 – Working towards your goal every single day is a choice, as with everything else, though it is crucial for materializing your dreams. And the more you energize the realization of your dreams, the sooner they will become a reality.There are many resources to help you during your visualization and materialization process. One of them is the movie Change: The LifeParticle Event, which explains the importance of visualization techniques and other tools that help you achieve your goals. However, a change is only up to you to happen, and visualizing your desires and committing to them is only the first step towards the materialization of your biggest dreams.